Fake of these Swiss watches occur so often, from the errors you will not be insured, even buying a watch from an expensive boutique. If you have any doubts about the authenticity of the new watch Rado, try checking some signs. It is for them to distinguish a real watch from a fake. The first sign of too low price. Authentic watches can not be less than five thousand dollars. It is such a selling price mounted on this watch brand in Switzerland. Add to that the cost of import duties in Russia and the profit of the seller proxy and you will realize that these watches can not be cheap. These watches always have a certificate and warranty card. These documents can testify the authenticity hours in 90% of cases. The passport must be given a clear number, date and place of sale. Be sure there is a seal. All the numbers and prints should be sharp and clearly readable. If the sale is missing, the passport may be fake or before you contraband goods. Pay attention to the packaging. Have it branded watches are always very quality, it may be moire, saffron or other expensive materials. At the bottom of the packaging box is always detailed address and details of the manufacturer. The dial is a real Swiss watch is always perfect quality. All labels must be absolutely clear and smooth. In the manufacture of watches Rado sapphire glass is used only. It can be scratched by a diamond or break, dropping on concrete or marble. The same applies to the ceramic body. If your watch gets scratched easily, it is a definite fake. Carefully inspect the bracelet. It is made of the same material as the housing, no scratches, clasp has to be bilateral, which can be locked independently from both sides. Coating the case and bracelet on these watches is everywhere the same thickness. On the fakes it is noticeable that in the corners or along the perimeter coating is thinner. The present coating is not erased with time, however intense you may wear your watch. If you have the opportunity to compare your watch with these, pay attention to weight. Replica always lighter than original. Go to the official website of the company Radо and compare their model with that shown on the website. Pay attention to the description and dimensions of the original model. The batteries in the original clock to provide trouble free performance for two to four years. The service life of the timer a little shorter than ordinary hours. This is due to the fact that the chronometers consume more energy. Recently in Russia began to appear forgery of very high quality. They present all the appearance of these hours. 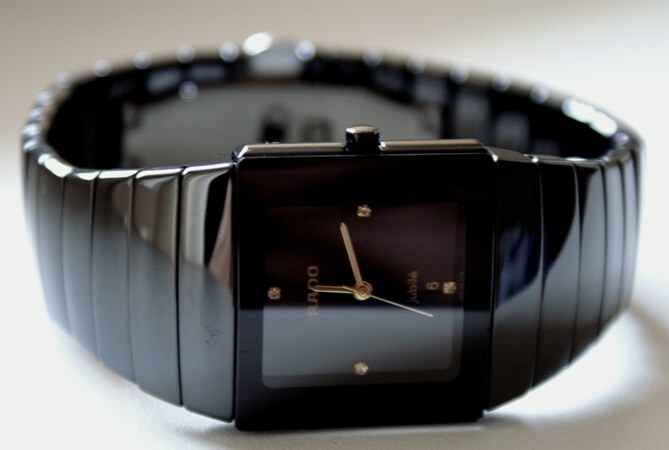 In this case the only reliable way to verify the authenticity is to take the watch to an authorized service center Rado. 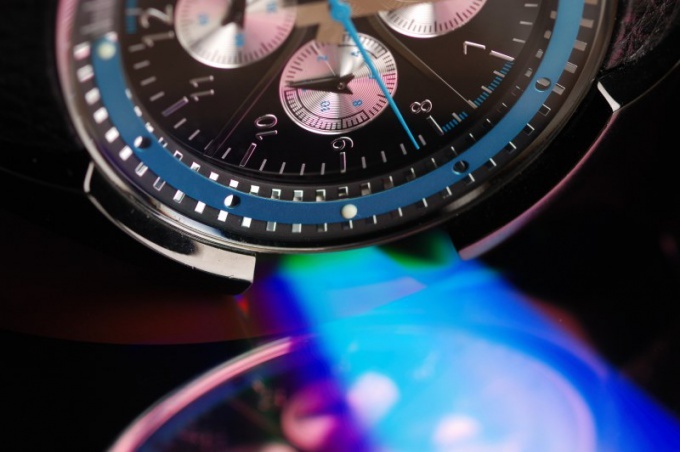 Counterfeits use timepieces of low quality. An experienced watchmaker who is familiar with Rado products can easily identify the authenticity of watches. Fakes are becoming more high quality, so purchase watches only from an authorized dealer. Selling Swiss watches via the Internet is very risky. Copies of Swiss watches can be divided into three groups, the cost of copies each of which will depend on the quality. If the first, lowest, price category are cheap imitations from China, the expensive copies can be made in the same Switzerland. How to understand this diversity and to learn to distinguish copies from originals? Fake as a rule, mechanical watches are known for Swiss plants. The cost of the original models starts from 20 thousand rubles, and it may not be the chronograph, inlaid with precious stones in the range of 20-30 thousand rubles sell a simple Swiss watch with a small dial diameter. Copies of these hours are not of good quality, and their cost rarely exceeds 1500 rubles. These fakes are easily recognizable by the quality of the materials used in the manufacture of the body, movement and bracelet. Even with the naked eye you can see a vague, if not absent, labelling, cardboard dial, cheap leather strap. 1500-5000 roubles is the price of good hours, which are copies, even the look is quite Swiss. If you are not familiar with in hours, models for 3 or 5 thousand rubles may seem to you high-quality copies, is able to impersonate a real Patek Philippe or TAG Heuer. But for the man who held in his hands at least once the real Swiss watches, is unlikely to be difficult to identify a fake at this price, even at a distance. The fact that the sapphire glass original models expensive hours made in Switzerland not subject to mechanical stress. It remains perfectly clear, and mineral glass fakes quickly collects on itself the slightest scratch. For 7-15 thousand you can buy a very high-quality copy of hours Vacheron Constantin, but first think believing someone that you have your wristwatch with the brand name, the cost of the most simple model which is 300 thousand rubles? But from this, and pushes, trying to recognize a copy of the good hours – the real Swiss are very expensive, and what is the price of a particular model, it is not difficult to find in the online store. But what if you offer to buy the alleged a real clock with hands at a very attractive price? In this case it is better to consult a specialist, because eyes sometimes very difficult to determine forgery. And for someone in hours, it is enough to inspect the watch, and in some cases and mechanism.